Lubricant Loctite LB 8040 emergency repair. Shock freezing (-40°C). Releases rusted, corroded and seized components. Wicks directly into the rust by capillary action. 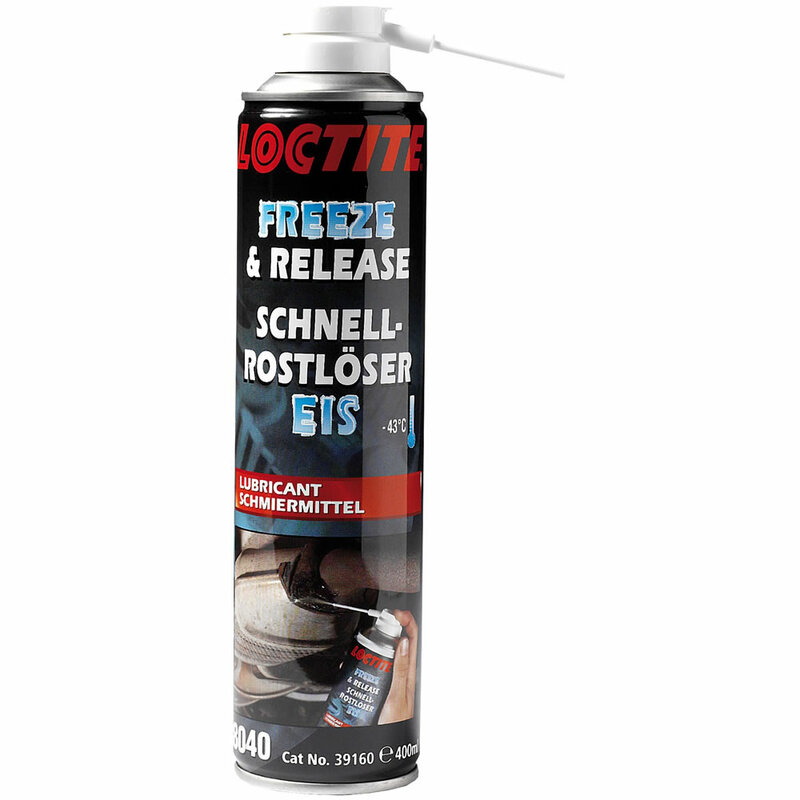 LOCTITE® LB 8040 is a special mineral oil designed to free rusted, corroded and seized parts. The shock-freezing effect will cool parts instantly down to -43 °C and cause microscopic cracks in the layer of rust. This allows the lubricating ingredients to wick directly into the rust by capillary action. The product leaves a thin film on the released parts that lubricates and prevents rust.